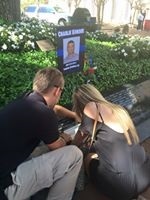 This was the first memorial we attended after Charlie was killed. It was very emotional but so personal and professional. 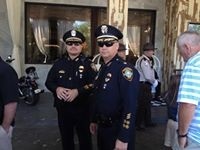 We were escorted by our officers and given medals for his sacrifice. The ceremony was beautiful. but we were still so broken I don't think we had to time to appreciate everything that was happening. 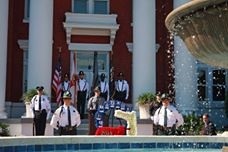 I attended this memorial with TSPD Chief Kochen and a few TSPD Officers. 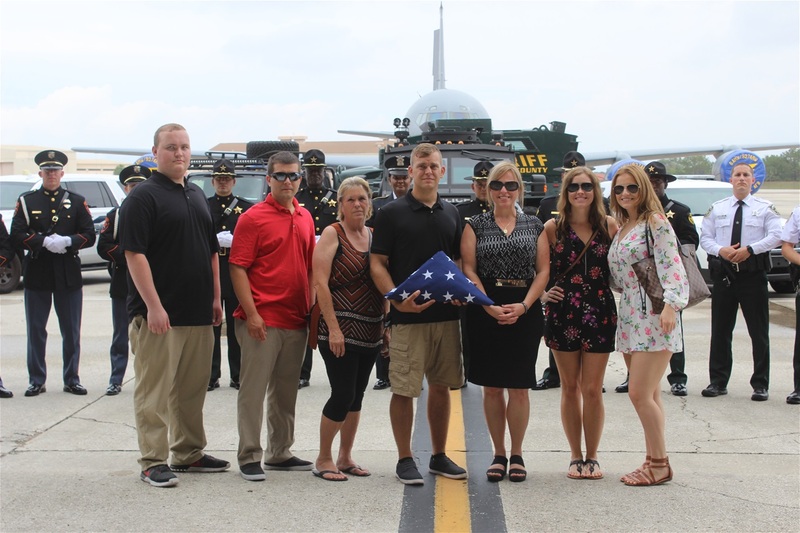 It was an honor to have Charlie's sacrifice recognized in the County we called home. On June 12, 2015 a Memorial Dedication Ceremony was held at the Tarpon Springs Memorial Garden in front of the Tarpon Springs Police Department to honor the memory of Charlie. Aleena spoke about her father and shared a few memories with the media. Charlie always loved Aleena's confidence. I was beyond proud of her and my family for being so brave. 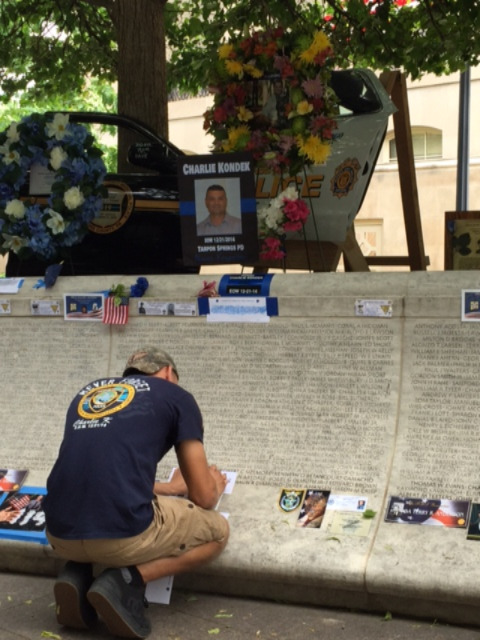 2015 National Law Enforcement Memorial, Washington D.C.
Five months after Charlie was killed the kids and I attended the National Law Enforcement Memorial in Washington, D.C. with most of the Tarpon Springs Police Dept. 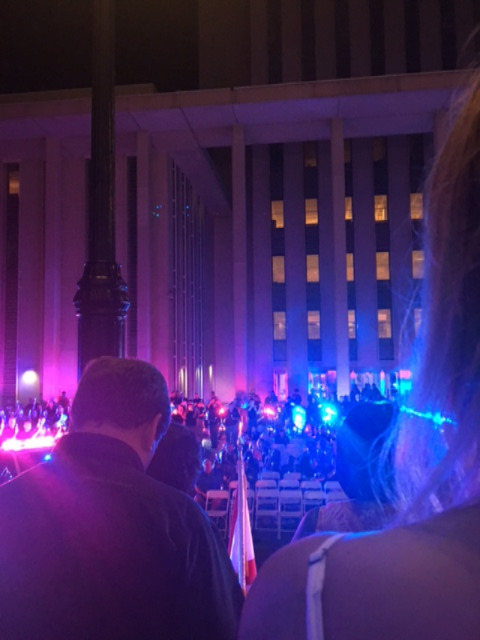 We saw our first candlelight vigil honoring the current year survivors and all who lost their lives in the line of duty in past years. Hearing the bell ring after every name read was such a sad reminder of all the people who left a family behind. What an awful sound when you think of it that way. 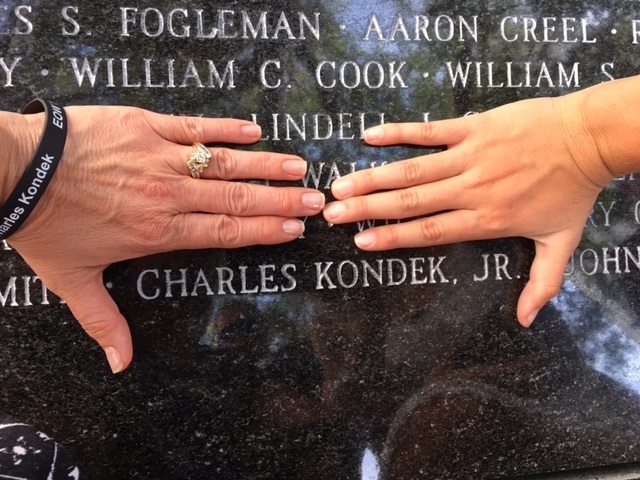 The ceremony, seeing Charlie's name in stone, meeting the President of the United States, and all of the counseling and seminars through the C.O.P.S. Program was so much to take in. 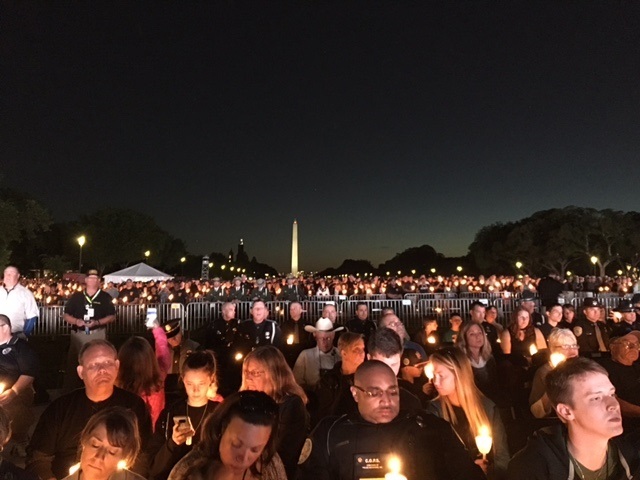 This experience was so overwhelming the first time and I don't remember all of it but the candlelight vigil was beautiful! My name is Aleena Kondek. 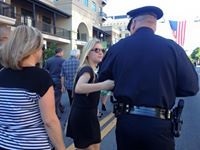 I’m officer Kondek’s youngest child. My family and I would like to thank each of you for coming here tonight to honor my father. The amount of respect and support we’ve seen this year has been overwhelming. 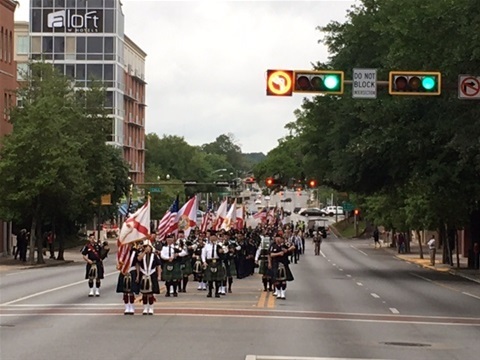 We’ve heard the words “never forgotten” so many times but we never knew how true that that would be because of all of you. Every time you wear his shirt, pin, or bracelet, my dad is remembered. Every time someone reads his name, salutes him, or puts a sticker on their car, my dad is remembered. We never want those things to stop. My dad deserves that. All of our fallen heroes deserve that. Over the past year we’ve learned a lot. We’ve learned that the bond between LEO families is unbreakable. Maybe because LEO’s know that if they lose their life, it’s because they are protecting another family…..only to leave their own family behind. We’ve learned that we aren’t alone and that there is always someone to lean on whether it’s our LEO family, our COPS organization, or strangers from our community that still tear up when they say my dad’s name. 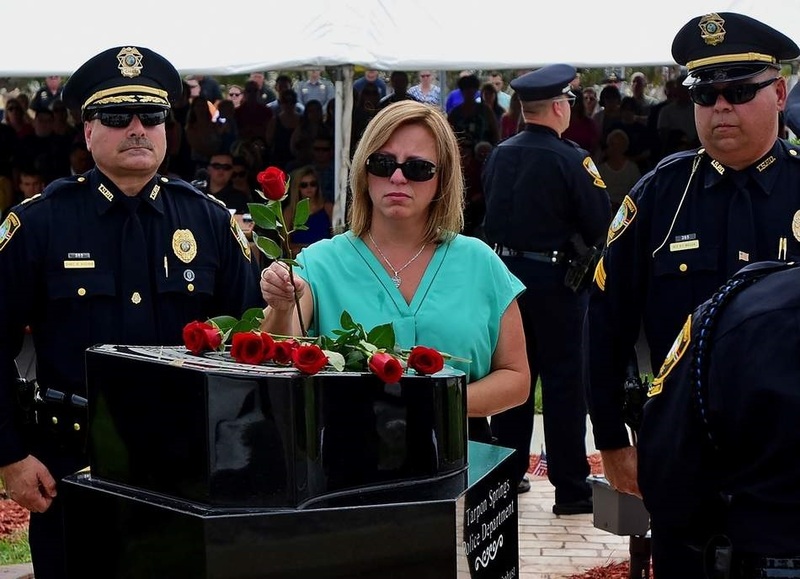 At first, it was really hard to see people wearing shirts with my dad’s name or stickers on cars with his EOW date but now….I smile when I see them because every time someone reads it, his name is remembered. I’m so proud to say that the hero on those shirts, signs and stickers was my daddy. We’ve learned that my dad’s sacrifice was and will always be felt by so many and not just us. 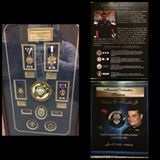 We are proud to say that my dad was honored by so many this year. 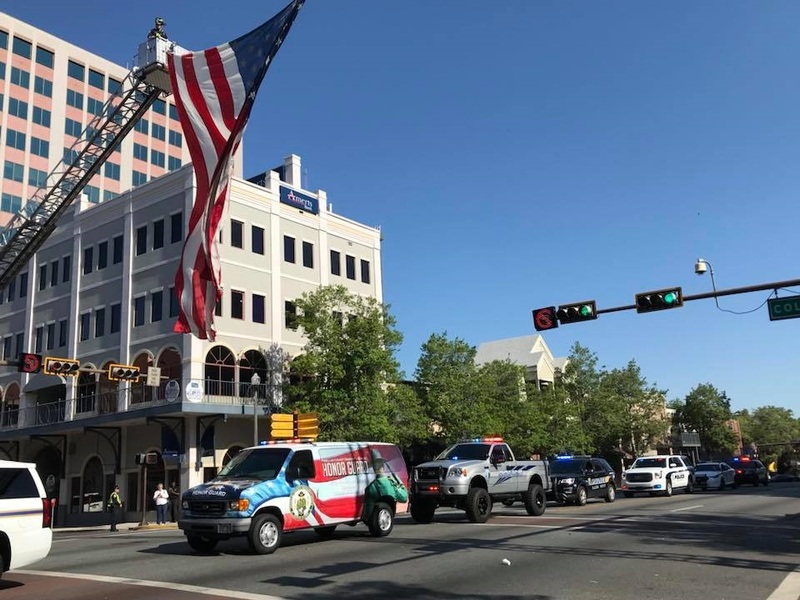 His name is on billboards, buildings, and memorial walls from Tarpon Springs and Titusville to Tallahassee and Washington DC. 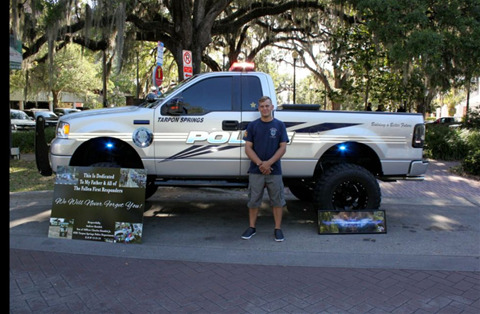 This year, Mr. Tom Dobies donated a K9 to the New Port Richey Police Dept who was named “K9 Charlie K”. There is a detective club at River Ridge Middle School called the “Charlie K Club” that I was honored to be a part of. The Pasco County Clerks office named Dec 21st “Charlie K Day” where employees are able to wear “Charlie K” shirts to work. Florida Hospital, North Pinellas allows their ER employees to wear “Charlie K” shirts every Friday. The Shady Hills Little League Park named their new baseball field the “Kondek” field. 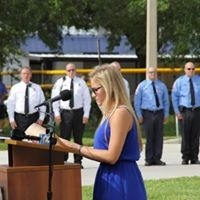 The Tampa Bay Lightening honored and announced my dad as a hero. The Tampa Bay Rays retired my dad’s badge number on their wall. 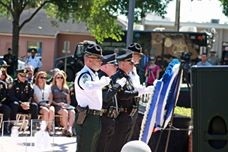 Pasco County Sheriff Nocco included and honored my dad at their own annual memorial this year. 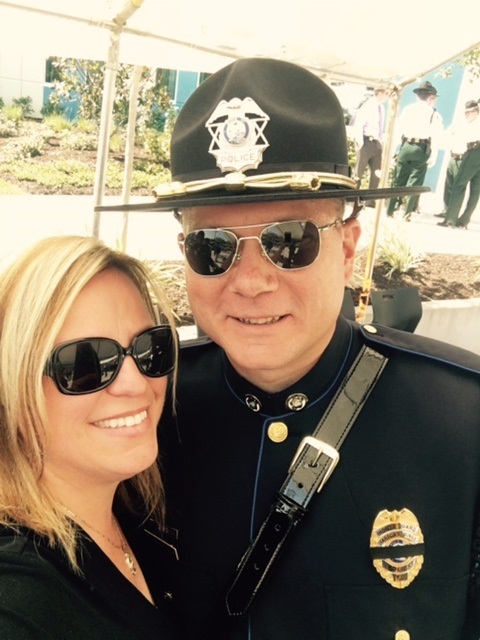 Pinellas County Sheriff Gualtieri has reached out in so many ways to support and honor my dad. 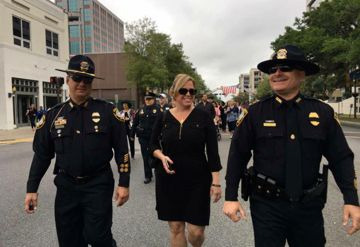 There are so many other agencies that continue to reach out and support us including St. Pete Police Chief Holloway, the Suncoast PBA, and several lodges with Fraternal Order of Police. I apologize if I forgot anyone but please know we appreciate everything you’ve done for us. Living without my dad gets harder every day because he has missed so many things he was looking forward to. Last December, my dad was just starting to teach me how to drive. 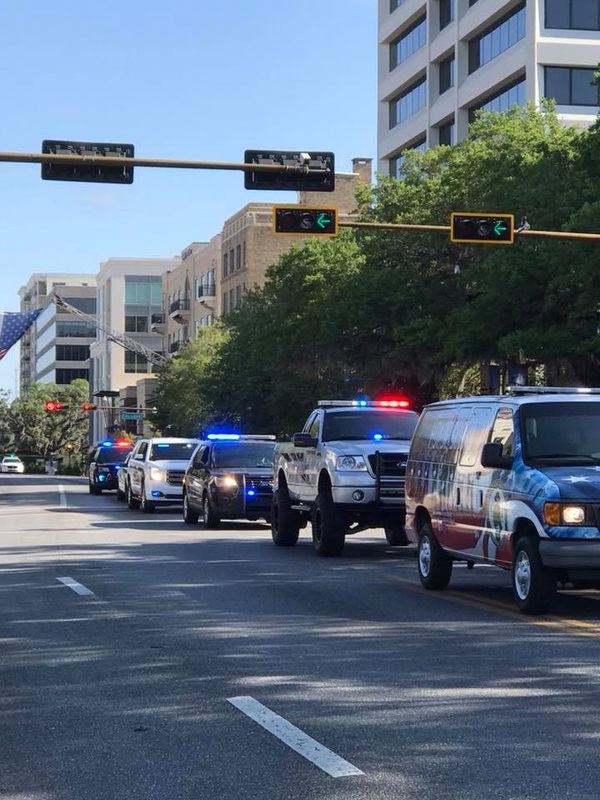 In his absence and here with us tonight, there are quite a few stressed out officers and deputies with a few extra gray hairs that took over that job for my dad. So guys, and you know who you are….thank you for taking the time to help me nail that driving test this month! I promise to remember the statutes and fines you repeated over and over while sitting in the passenger seat! This year was our first birthday and holidays without him. He wasn’t here to do the special things he always did with us. My dad wasn’t here to bring me or my mom and Holly flowers for Valentines but my brother did. His card to us said..”because dad can’t, I will.” My dad wasn’t here to bring us birthday flowers to work and school but this year for my 16th birthday (the huge birthday party my dad was looking forward to planning with me), I didn’t want a party without him. To make it special, the Tarpon Springs Police Dept sang Happy Birthday to me in the cafeteria at school in front of everyone. I think of that day every time I eat lunch at school. My dad wasn’t here to surprise my mom with “date night”, flowers, and a mushy card on their anniversary. Instead…this year my mom sat in a cemetery on her anniversary. The same place my siblings and I sat on father’s day. We miss our everyday life with my dad, not just the special days. We miss his big hugs and his sense of humor. We miss our funny group texts that seemed to always wake him up too early. We miss waking him up after just an hour of sleep to settle a bet between us kids or watching him fall asleep sitting up because we had to tell him just one more story before he went back to bed. He never complained. But mostly, we miss the sound of his voice saying “I love you guys” as he walked out the door at night leaving for his midnight shift. On behalf of my family, we want to thank all of you that reached out to us. Thank you for the letters, prayers, wishes, and support. 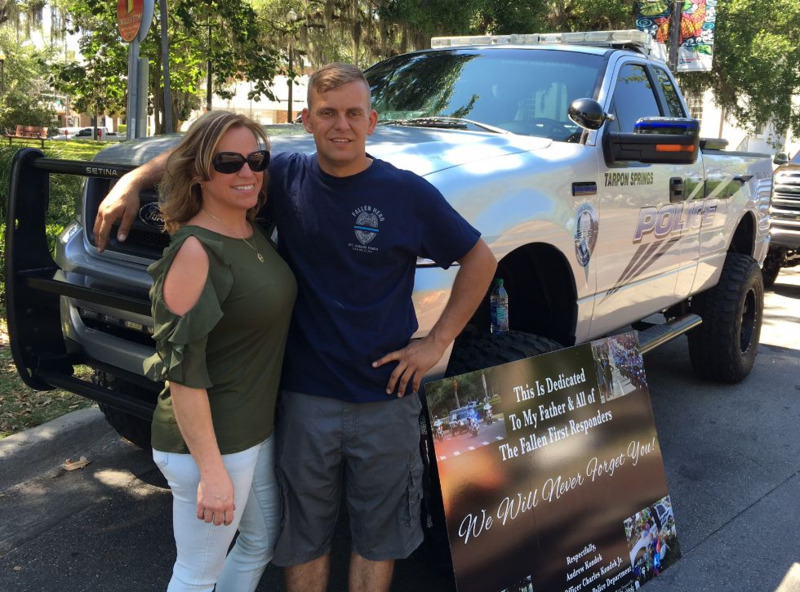 Thank you Tarpon Springs Police Dept and Cindy Roberts for always checking on my mom and helping her make it through the days she didn’t think she could. It’s been hard for her to make so many decisions for our family without my dad but she gets up every day without him and reminds us of the things my dad wanted for us in life and that it’s okay to say his name and laugh about the funny memories we have. We honor my dad by sharing what an honest, hard-working, family man he was with and without his uniform on. 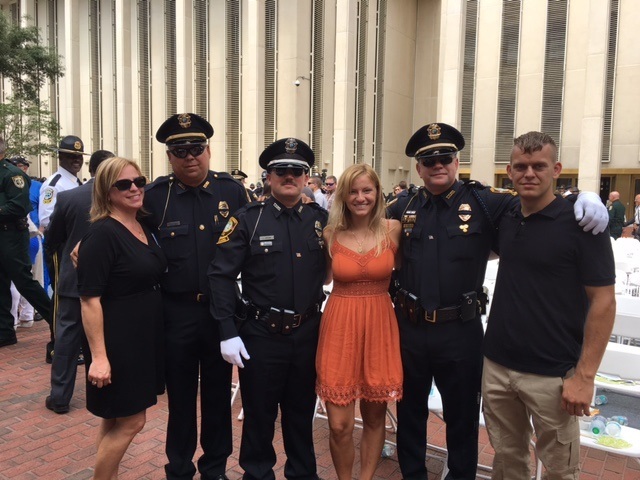 He was what an officer should be, he was what a father and husband should be, he was what a friend should be and we can all learn something from him. He left a legacy behind and we are so lucky we were an everyday part of his life. We’re lucky we have so many memories and pictures of him. We’re lucky he taught us how to be thankful for things, especially when we didn’t deserve them. That’s something no one can take away from us. Take a minute today and remember the sacrifice my dad and the rest of our fallen heroes have made and pray for all of the others that continue to protect us. 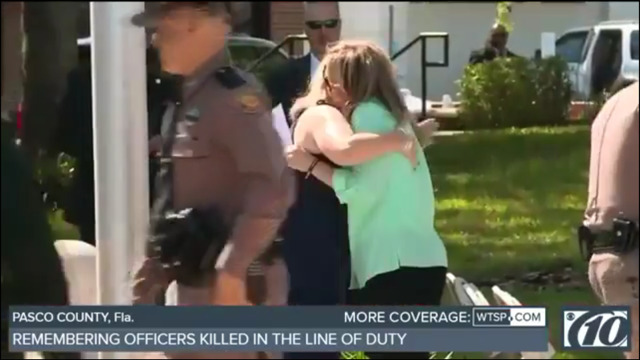 Remember the important things in life and tell your LEO’s and your family you love them every day when they leave because they may not always make it home. On Christmas morning when you get to wake up and talk to your family, remember those who can’t. Remind them that you haven’t forgotten them or the ones they lost, even if it’s a short text. You have no idea how much those little things help. Thank you again for being here and thank you for honoring my dad today and every day. It’s a great honor and privilege to stand with this distinguished group of public servants, proud family members, valued friends, and brave members and supporters of the Tarpon Springs community on a day we pay special tribute to Ofc Kondek, whose story is a testament to the bravery, patriotism, and valor of law enforcement officers at every level. 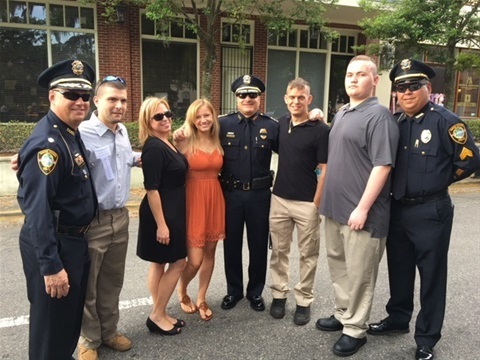 Charlie K was taken from us – far too suddenly, and far too soon - as he died doing what he was trained – and sworn – to do: saving the lives of his colleagues, protecting innocent bystanders from harm, subduing and apprehending dangerous suspects, and pursuing desperate criminals who attempted to flee from justice. 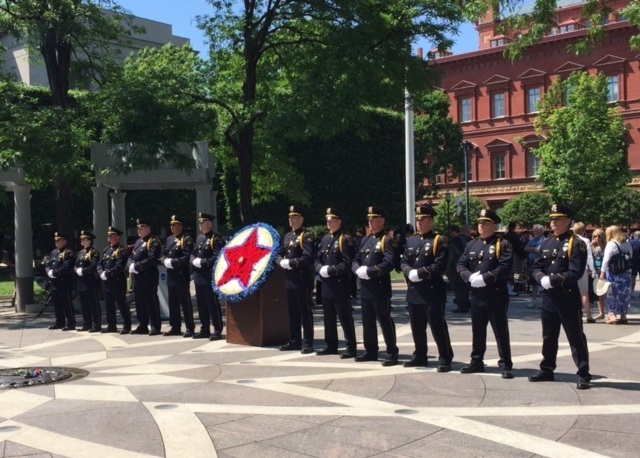 Yet his death – in the line of duty, and in service of the country he loved – tell only one chapter of his story. 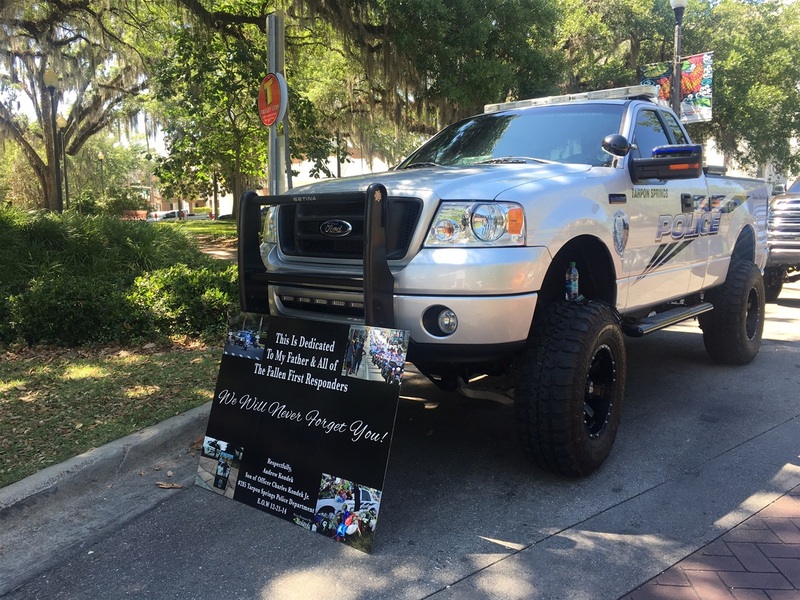 Our community recognizes him as brave law enforcement officer. But many of you also knew him as a devoted parent and a loving husband. 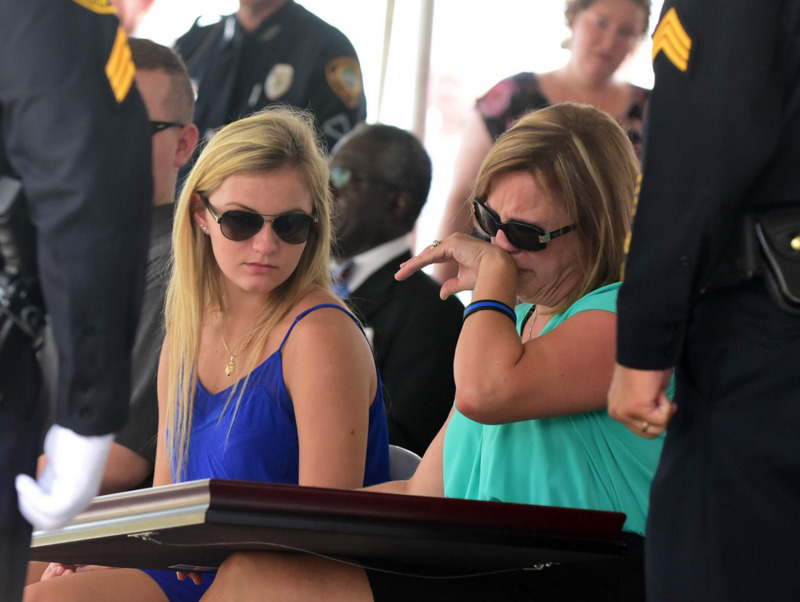 Together, we mourn Charlie K as an individual of unmistakable integrity, unshakable character, and infinite kindness. He gave much and asked little. To this day when we start our shift we usually sit in the Sergeants office before we get on the road. I still see him walking through the door and immediately giving Cpl Spatz a throat chop while still holding his coffee in his hand. 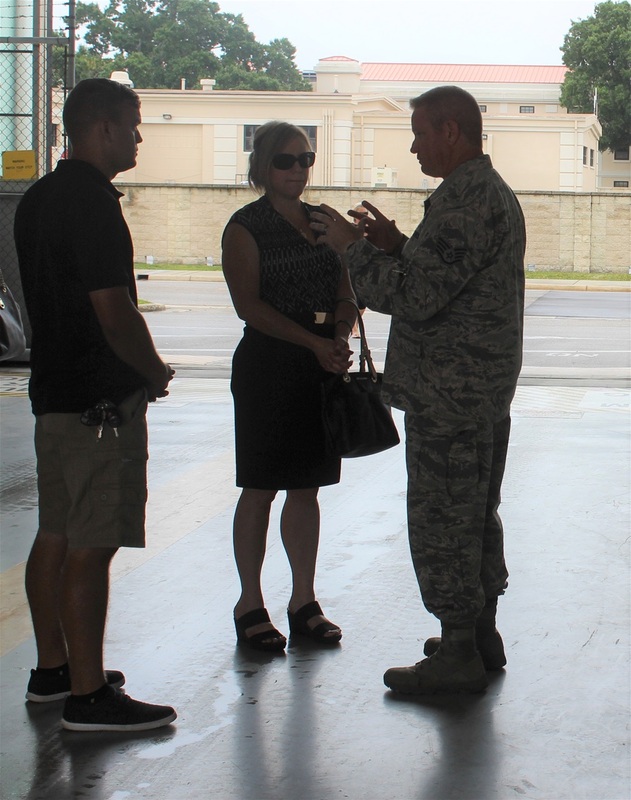 Next he would turn and before I could even ask him why he didn’t bring the Sergeant a coffee, he would say “Shut it Lawrence” followed with an ear flick. This would go on all night as we humped calls, wrote reports and conducted night eyes on our midnight shift. Charlie K came to just about every call and was there for us all the time. He would call on my days off and tell me all about the crack arrest he got the previous night, stating “The old man’s still got it” as he could still make narcotics arrests. Cpl Spatz and I would write fake memos expressing Charlie’s interests and desires to become part of the TSPD DUI wolfpack. And we would take pictures of the memo on Sgt Millers desk and text them to Charlie on his days off. I have trained several new officers this past year. 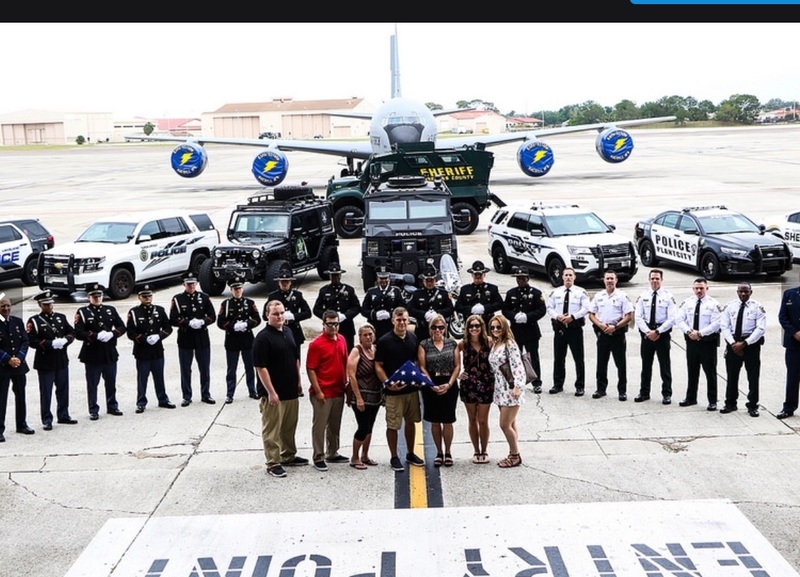 I have and will continue to take time out of the day to share Charlie’s story with each officer so they have some kind of idea what a true hero he really is. His memory has not faded. 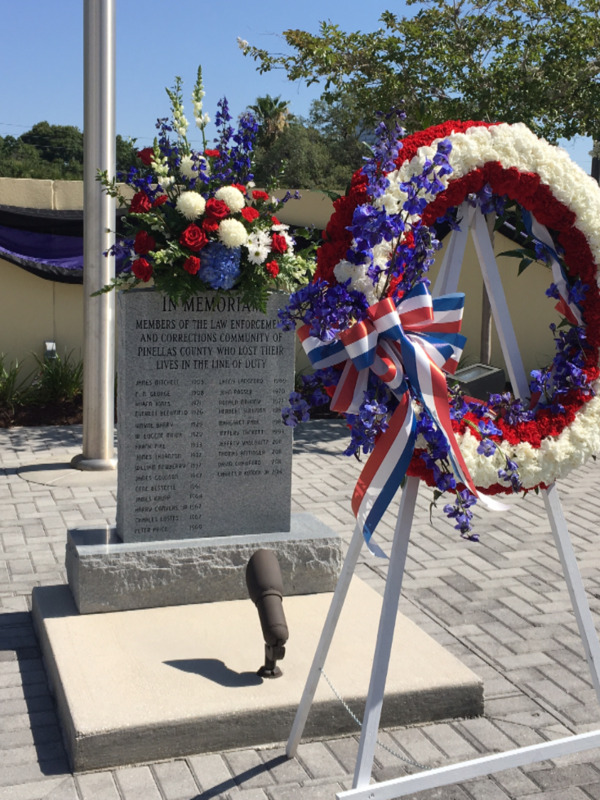 We gather today at the Police Department – to keep our promise to him that, no matter how many days have gone by, there will never come a time when Tarpon Springs forgets his sacrifice. 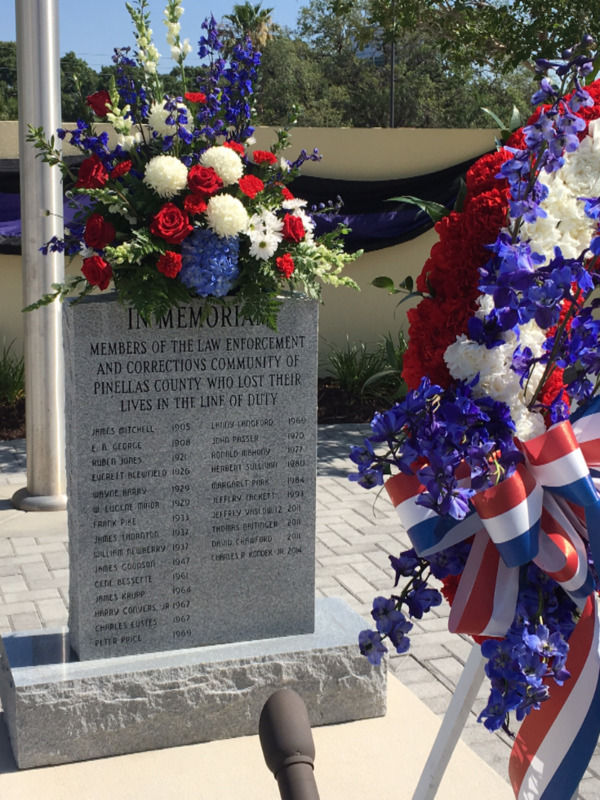 Our city will always remember what he did – and what he gave – to enforce our laws and keep our citizens safe. On behalf of patrol as I’m sure there are a few of us that did not get this opportunity, Thank you Sheriff Gualtieri and the Pinellas County Sheriff’s Office for everything you and your deputy’s did for us. 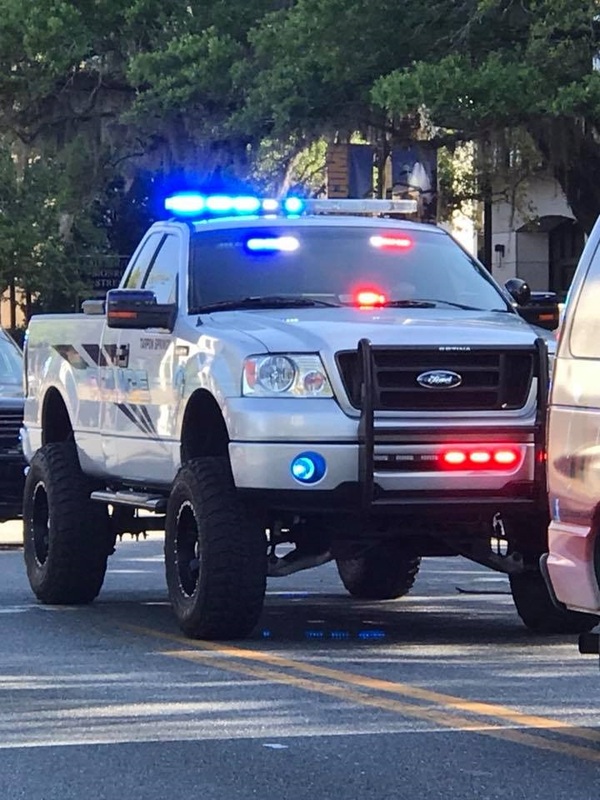 Thank you Major Young, Major Templeton and Chief Kochen for helping guide this agency through this tragic event and giving us whatever we needed. And last but certainly not least to six people I immediately fell in love with the day I met them all. Six of the strongest people who I ever met. Teresa Kondek and your five children thank you as we were privileged to get to hear about your family’s story’s when Charlie was not at work. 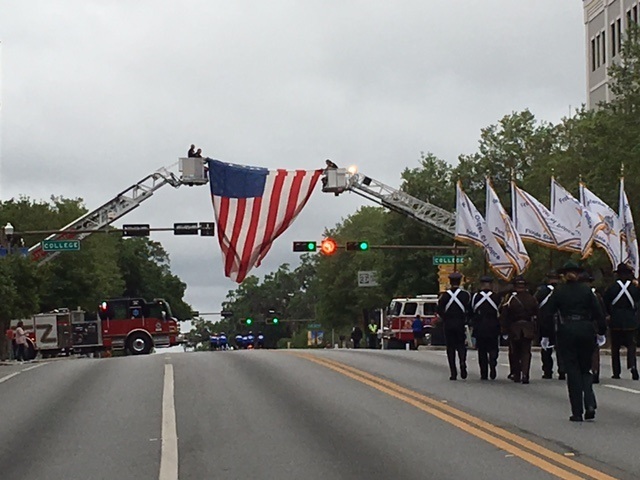 We will never forget you Charlie K.
Another year of remembering and honoring Charlie. This year was just as hard but we will always stand and recognize his sacrifice. 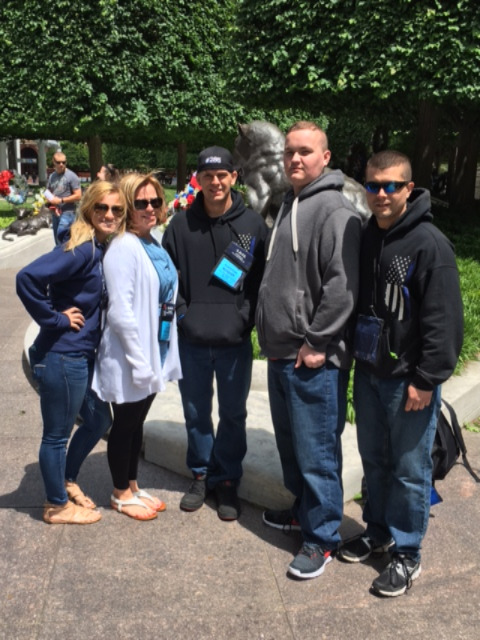 2016 National Law Enforcement Police Memorial, Washington, D.C.
Our second trip to Washington, D.C. was more relaxed so we could actually focus on the experience and try to process everything that happened the year before. 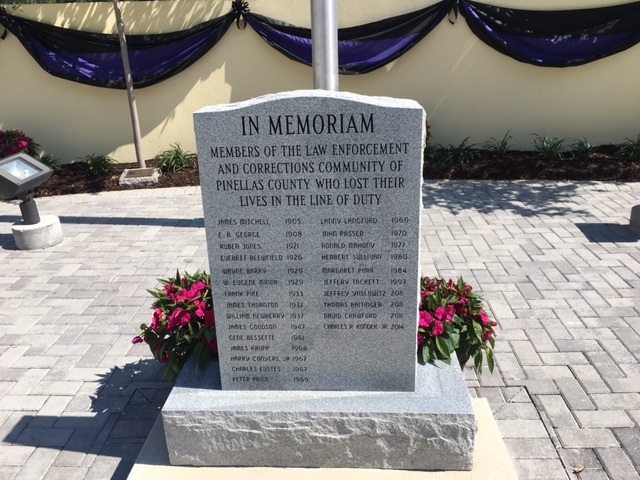 This memorial is so honorable. To be with so many people for the same reason at the same place is an overwhelming feeling. 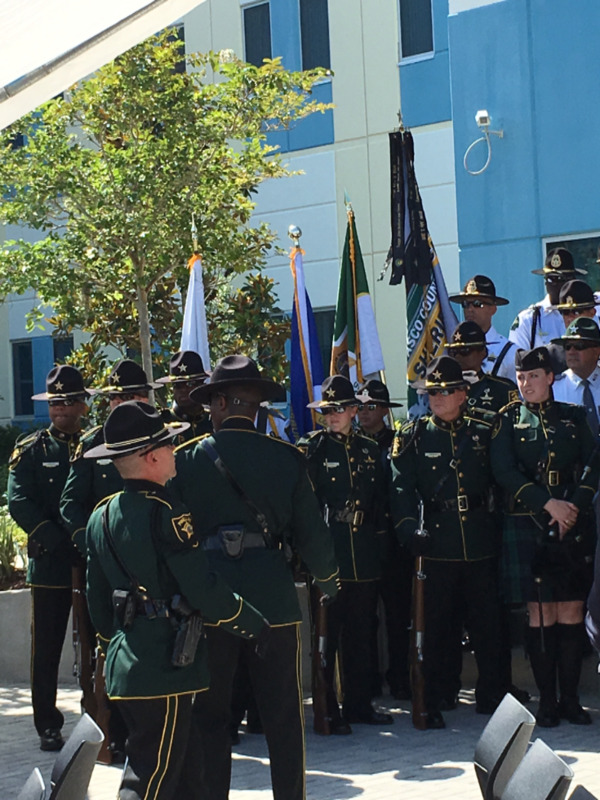 Another amazing year of remembering and honoring Charlie's sacrifice. Another year of remembering and honoring Charlie's sacrifice. This was our fourth time honoring Charlie. We said his name, traced his name, and stood for his sacrifice. 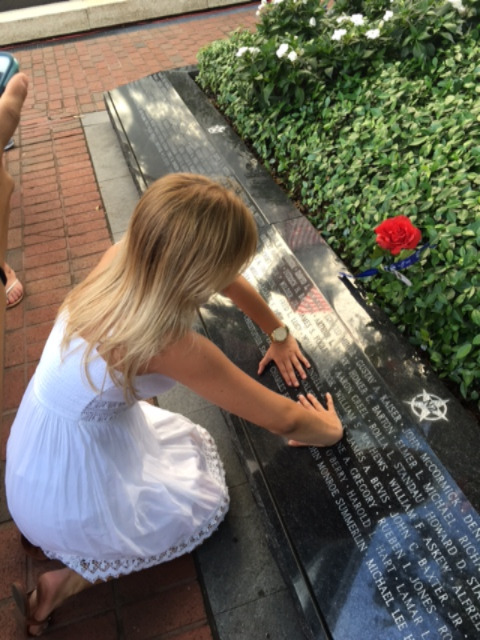 This memorial is an amazing tribute to the fallen and those left behind. Meeting new survivors is so tough knowing how overwhelming it is to be here for the first time. We still mourn Charlie but this service honors his sacrifice and we are proud to know he will never be forgotten. 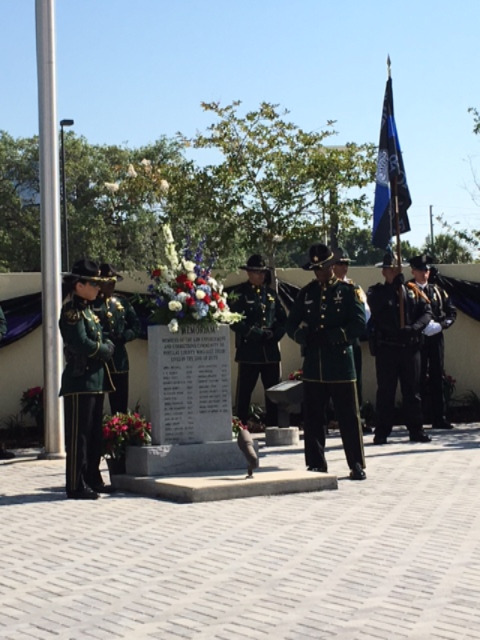 I was honored to speak this year at the Pasco County Law Enforcement Memorial. 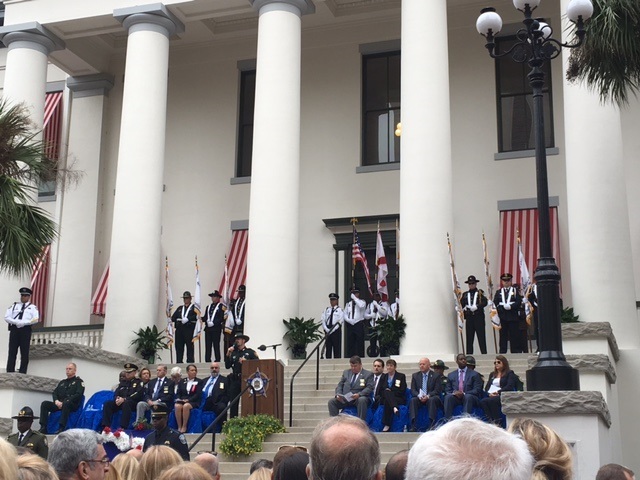 Good morning, Governor Scott, Speaker Corcoran, and Representative Burgess. 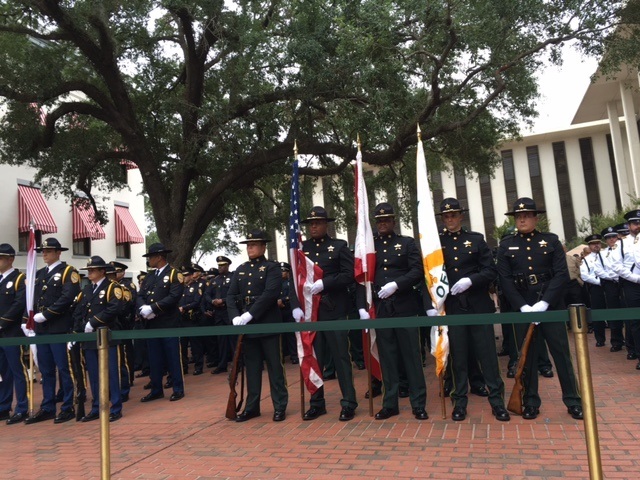 Thank you, Sheriff Nocco and your entire team, for taking the time each year to honor the fallen. I also want to thank you for remembering the families they’ve left behind. My name is Teresa Kondek. 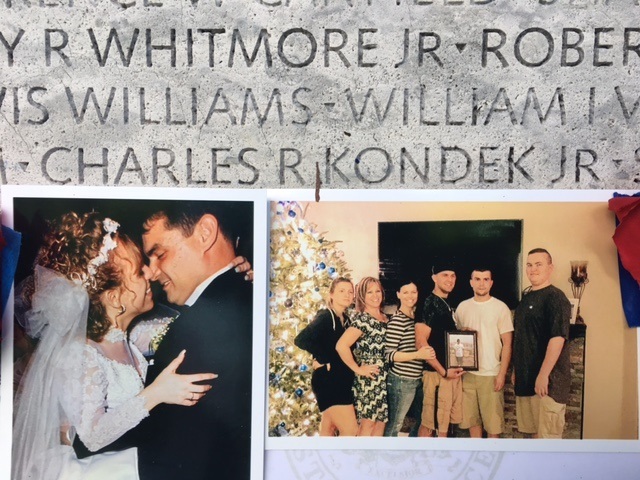 My husband, Tarpon Springs Police Officer Charles Kondek, Jr., was killed in the line of duty but before I start I want to recognize someone here today - Cindy Roberts. 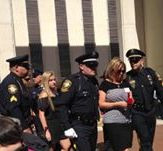 Cindy’s husband, Corporal Mike Roberts with the Tampa Police Dept., was killed in the line of duty on August 19, 2009. Cindy walked me through the beginning of my journey as a widow and I’m happy to call her my friend. 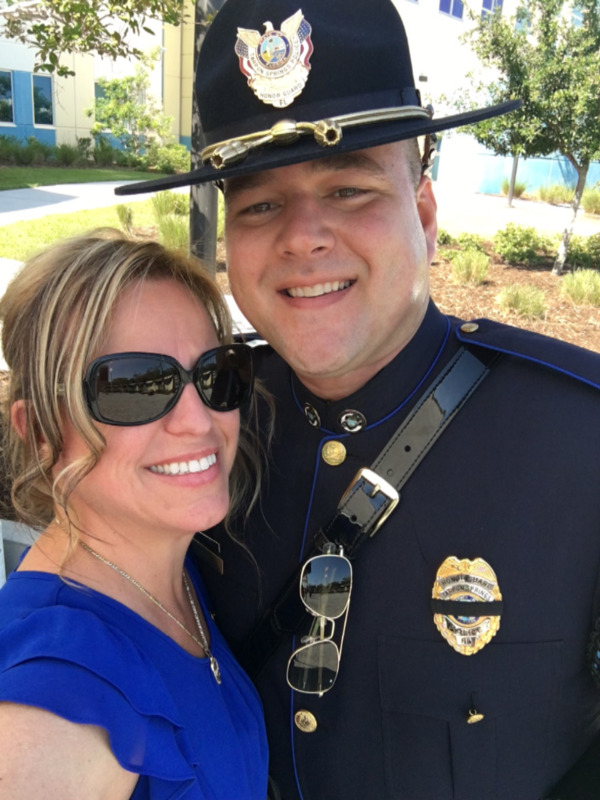 On December 21, 2014 around 2 a.m., just four days before Christmas, my husband took a call for a noise complaint. 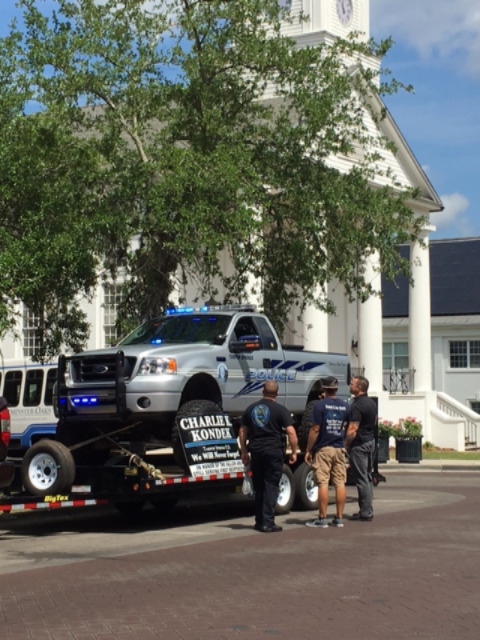 Within minutes of getting out of his car, Charlie was shot, run over, and pulled by his gun belt when the car fled. Charlie managed to call for help just seconds before he was shot. I watched the dashcam video as his fellow officers arrived and tried their best to save his life. They held his hand and called his name over and over but Charlie died minutes later. I’m forever grateful for everything they did for him & for being with him when I couldn’t. Charlie was an officer for almost 23 years. He was just three years away from retiring and only 45 years old. Our lives were shattered that morning. 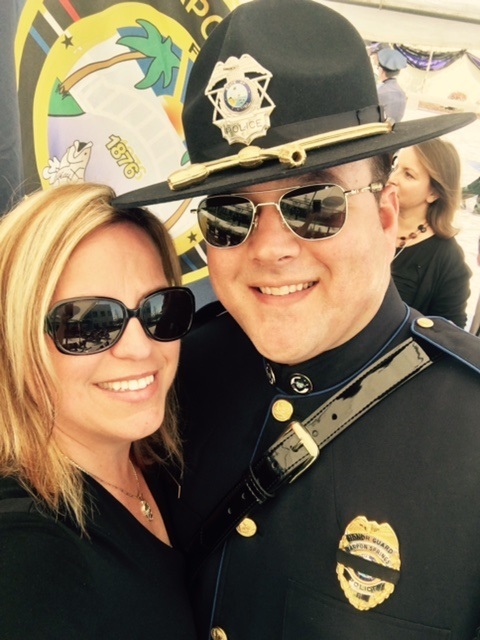 I lost my best friend, my children lost their father & hundreds of officers lost a brother. Just like every spouse who is married to a law enforcement officer, I handled vacations, birthdays, anniversaries, and most holidays alone. I learned how to manage a life and a family to support a man that worked rotating shifts, over-time, and details on his days off so we could make ends meet. I stood by a man who was willing to sacrifice his life for his community. I just never thought it would happen. 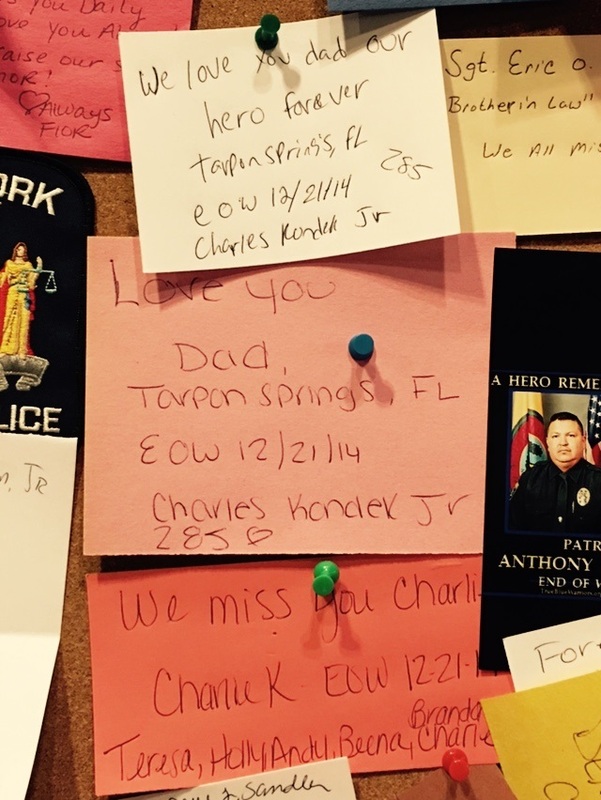 Since Charlie was killed we have been blessed with so much support. 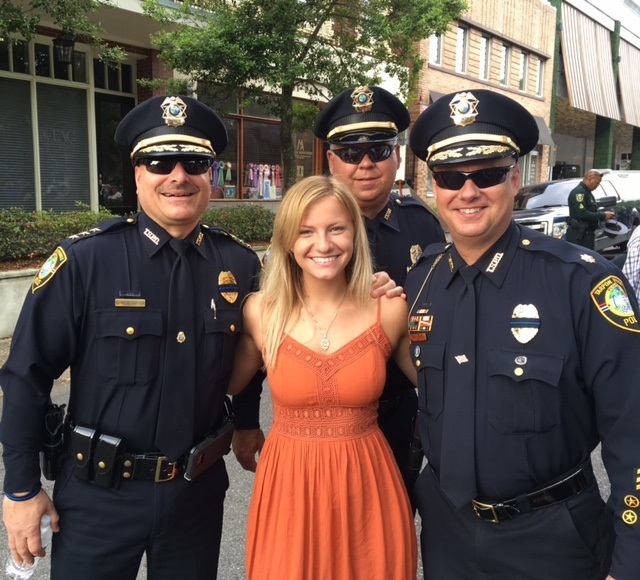 Law enforcement officers escorted my youngest daughter to prom and taught my youngest two teenagers how to drive. They walked my oldest daughter down the aisle in January where my husband’s Sergeant waited to perform the ceremony. They sat with me while I struggled to find my way without my husband. 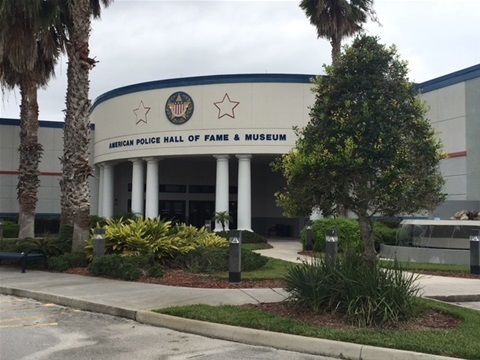 Some of those officers are here today. I don’t know where my family would be today without them. 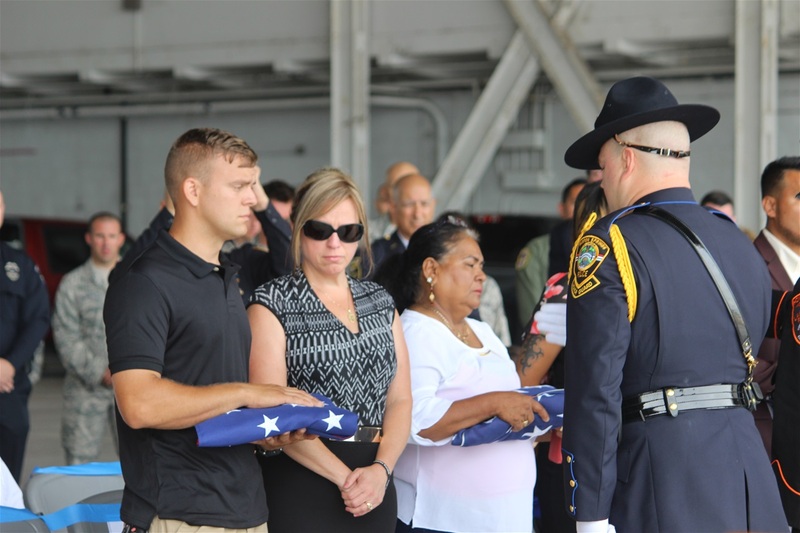 When fallen heroes make the ultimate sacrifice, so do the families that are left behind. 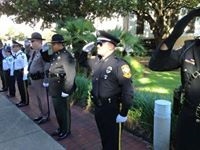 I remember leaving an event a few months after Charlie was killed and a lady stopped me and said, “I’m sorry for your loss but sadly it’s what they sign up for.” I made it VERY clear and explained that our law enforcement officers don’t sign up to die - they sign up to protect those who can’t protect themselves. They sign up to make a difference and to keep their communities safe and yes, dying is a sacrifice they are willing to make for a family other than their own. Our law enforcement officers answer a calling that most don’t understand, but I do. 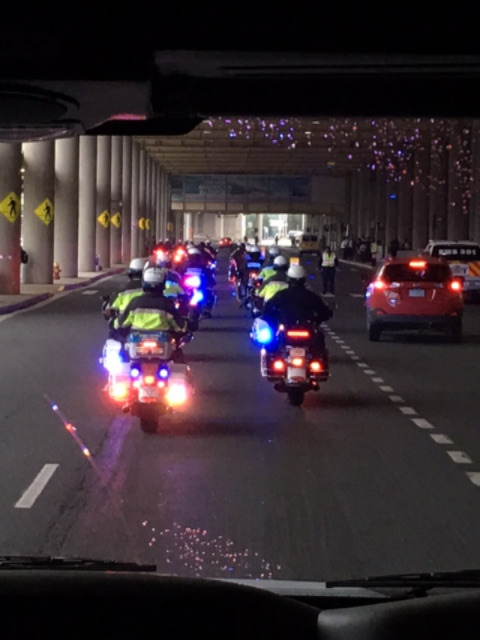 I’ve seen the dedication it takes to wear a badge and how thankful they are just to make it home. 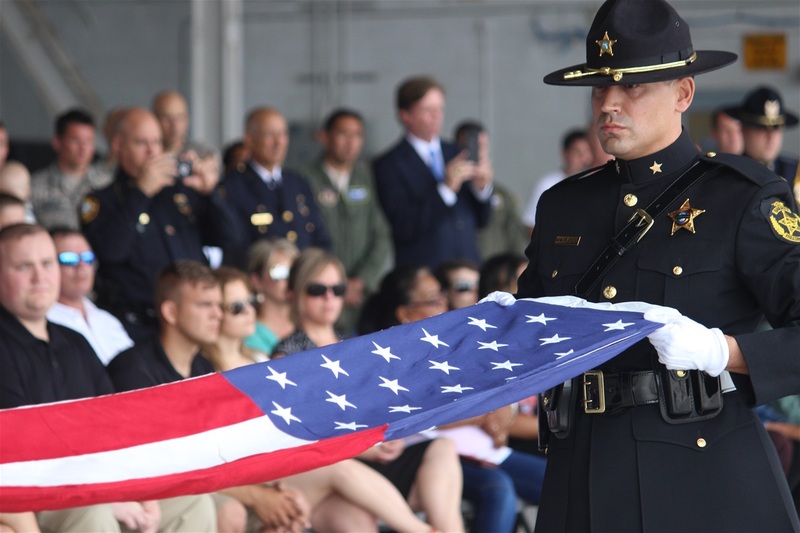 For those of you here today that are not part of a law enforcement family - when you have the chance to thank an officer, please do it. Say a prayer for them. Let them know you appreciate them and all the awful things they see during their career so you don’t have to. It doesn’t cost ANYTHING to write a note or say thank you. 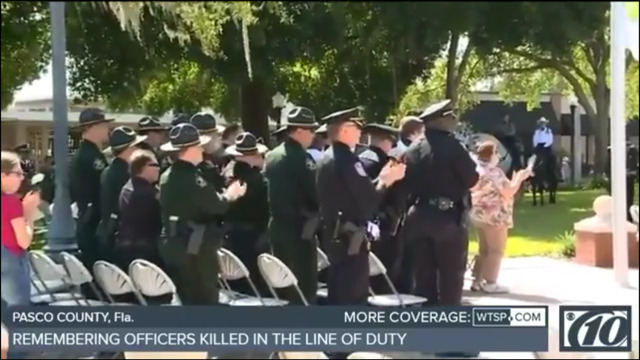 Besides, the officers you thank may not make it home at the end of their shift. 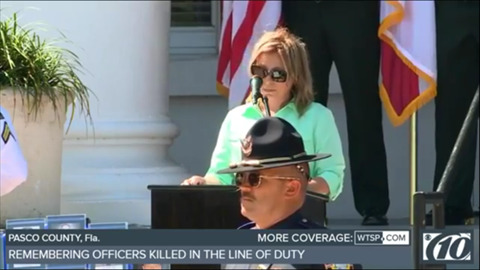 To the first responders here today, on behalf of my family, we thank YOU for YOUR service. 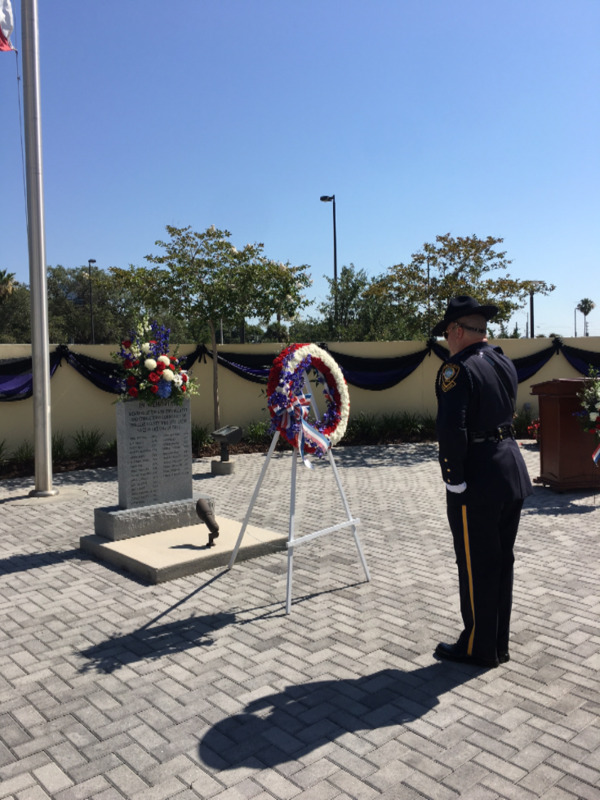 The 927th Air Refueling Wing, MacDill Air Force Base, hosted their third annual ceremony honoring local fallen law enforcement officers on May 6, 2018. Sgt. 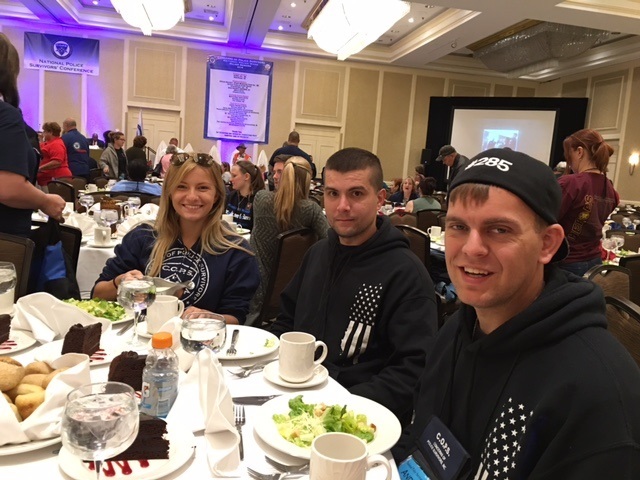 Adam C. Borgman previously stated, "These are police officers that are protecting our families while we are deployed and we need to make sure to reach back out to them to tell them thank you for their service because it's essential." 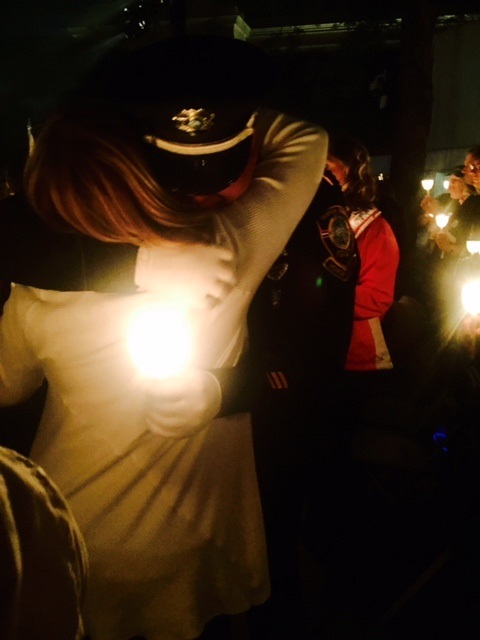 We were honored to be a part of this and witness the heartfelt gratitude by our brave military. 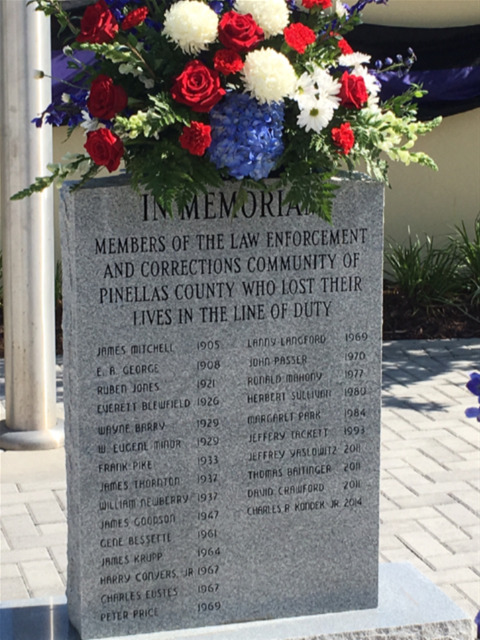 Charlie's name was read again today along with all other officers in Pinellas County who have died in the line of duty since 1905. Although it's still hard to hear his name called, I want him to be remembered. Four years ago today at 3:07 a.m. on a Sunday morning Charlie's life was violently taken, my life was shattered, and my kids were broken to pieces. 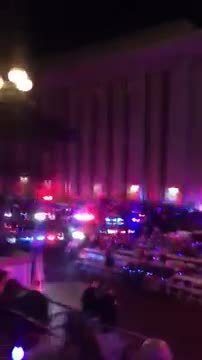 Four years ago today my house was surrounded by police lights and cars with officers knocking on my door. Four whole years have raced by while we stood still. This was his favorite time of year. He listened to old Christmas songs in the car and sang them to the kids. He loved Christmas candles and old Christmas movies. He woke the kids up every Christmas morning. We were almost finished with presents that year. We were happy. Our kids were happy. Just hours before he was killed, I texted him to let him know that all of the presents were wrapped and where I hid them. He was so excited that year because for the FIRST time, his overtime allowed us to get everything they wanted. But he missed another year. He missed Holly’s wedding. He missed Andy’s first day of the academy. He missed Brandon’s first job. He wasn’t here to answer Little Charlie’s questions about taxes like he used to. 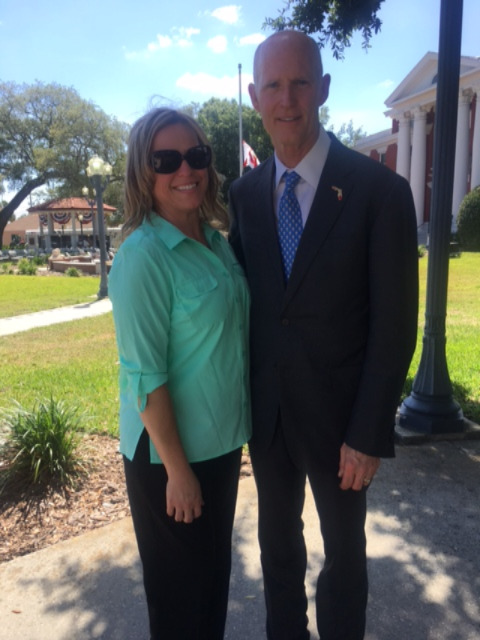 He wasn’t here to help me move Aleena to her apartment or wish her well on her job at UCF PD. He missed our anniversary, birthdays, and everything we did for the first time this year. And me, I'm still his widow. I'm still without my best friend and the only person who made my life complete. I miss the one who knew what I needed to hear, knew what to say, and knew how to make me laugh when life was tough. I think about all the days we wanted to forget, all the nights we cried ourselves to sleep, and all the times we were angry. I think about how many times we sat at his grave and told him how sorry we were that this happened to him and how much we still needed him. I think about the instant emptiness we feel and the look on our faces when his name is brought up. I think about the look on our children’s faces when I had to tell them their father was murdered. I think about the first time I saw my children sobbing on their knees staring at their father's name on a piece of stone. I think about their faces when they see people hugging their father knowing that they can't. 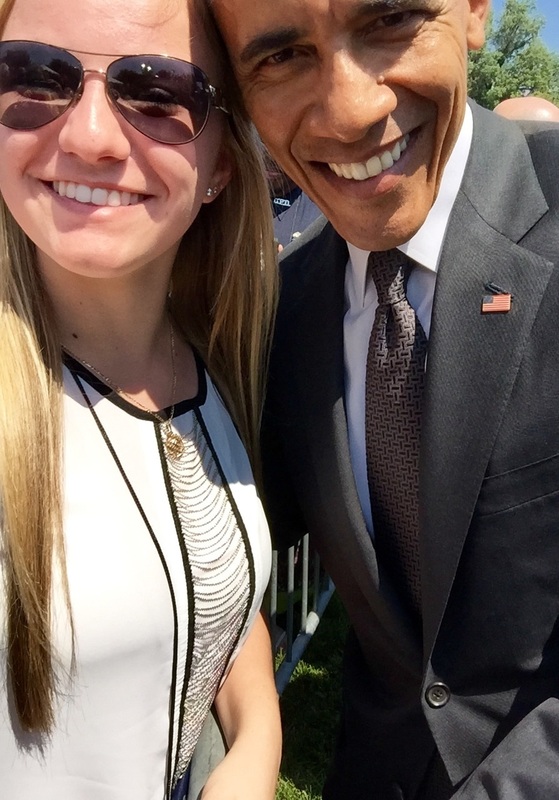 No walks down the aisle for our girls, no father-daughter dances, no father-son talks, no graduation hugs…nothing. It’s all GONE! We've survived these four years, but it has taken its toll on us all. We are not the same. The kids and I are still broken. We are still learning to find our way, and it has been SO incredibly HARD! Another year has passed. We’ll put more flowers on his grave and cry a little more than the day before. On the outside we are still the same little family Charlie and I worked so hard to build but I think we are learning to be the family God wants us to be after our loss. We found a way to give and make the best out of the worst. This year on Charlie’s birthday, which is also the 4th of July, we started a blood drive to honor his life. Charlie was a blood donor, loved our country, respected our military and he taught our kids how important those things were. We understand that God never promised us a life without pain and that we will never know why this happened. We know that after Charlie’s death, God has provided us with an enormous family that reminds us every day that we will never be alone. We loved Charlie without limits and for that, He has given us the same in return. I'm thankful for those who convinced me to get back on my feet when I felt like my life was spiraling out of control. I’m thankful for all the things we were blessed with again this year, but this life is still really hard without Charlie. 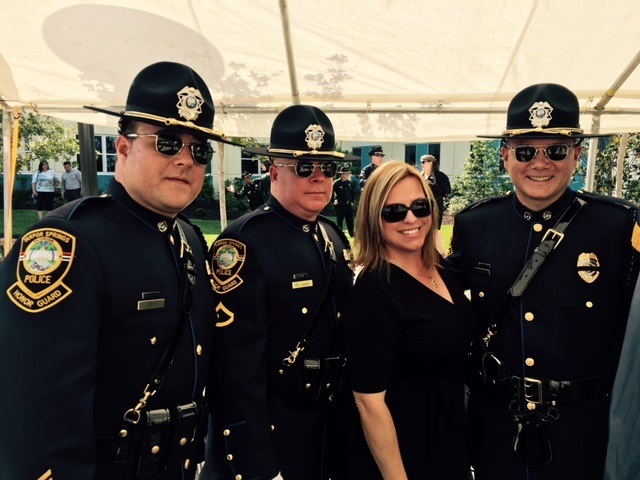 Thank you, BLUE family for proudly stepping up to stand in for Charlie even if it meant time away from yours. Thank you for standing by our side, for listening to us, and for hugging my children and me. Thank you for letting us cry and be angry when we needed to be. We've needed you more than you know. I kept my promise. I spoke to the inmate during trial that took your life but I’m not ready to forgive him. I no longer carry anger with me and I’m at peace now knowing he will struggle to survive until the day he faces God. I put it behind me like I said I would. I don't know how it's possible, but I still miss you more and more each day. I still look for your face at places we’ve been. I still smell your cologne sometimes. I still want to pick up the phone to call you when things happen. I still look at the door like you're going to walk in. I'm so afraid I'm going to forget the sound of your voice or the way you laughed so on those days, I watch videos of you until I cry myself to sleep. I still have a hard time believing you're GONE. I still can't handle it some days but I'm really trying. It's incredibly hard to be happy without you. It’s even harder learning how to be your widow. I don't know how any of this works but I'm still trying to find my new place. A place that will always include you but will allow me to start my own chapter. It’s hard to make myself understand that it’s okay to be happy without you here but then I remember how much my happiness meant to you. My biggest struggle is the fear of making new memories that you're not a part of. I don't know how to be okay with that. One day at a time is what I’m told. I know that I am who I am now because of you and everything you taught me. Keep watching over us. 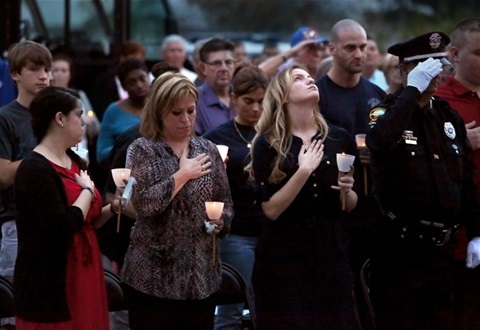 Your brothers and sisters in blue have held our hands through some pretty bad times. Their loyalty to your sacrifice and the bond they have with us still amazes me. I know you're beyond proud of them. 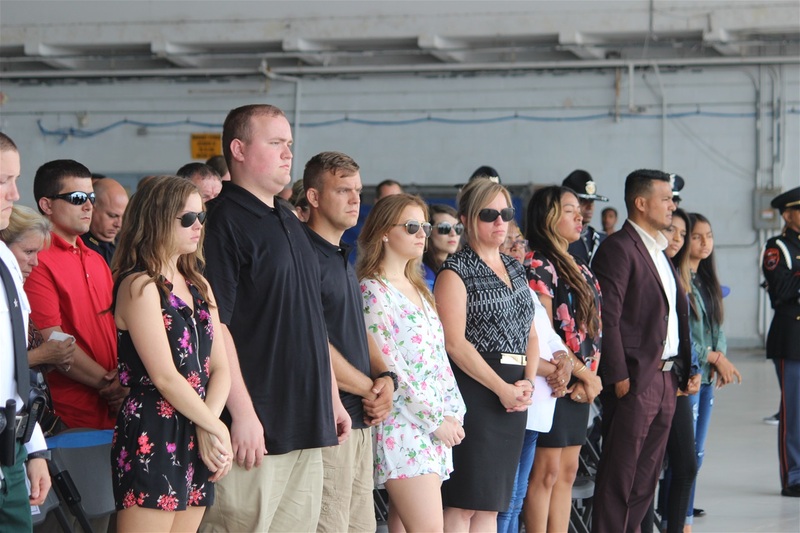 Holly, Andrew, Charlie, Aleena, and Brandon are doing some amazing things to honor you. They are so proud to share their stories about you. Your life, time spent with them, and what you taught them is showing through EVERYTHING they do, and they are PROUD because of you. I couldn't imagine this life without the little pieces of you I see in our kids. Every time I look at their faces I'm reminded that they are the CLOSEST thing I have to you. I’m doing my best to be the only parent for our kids but I don’t think it’s enough sometimes. I can’t do the things you did but I try to make their lives as full as I can. They miss you so much and I still don’t know how to help them with that. I swear to you that as long as I can get up and speak, I will continue to honor your life and NEVER let your name fall silent. .